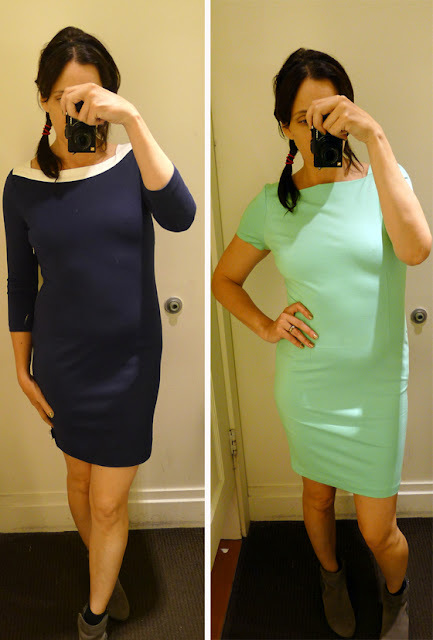 Fashion Herald: Dress Season on 34th Street! Can you say summer wedding? Add a hat, go to Preakness? Meet the parents? 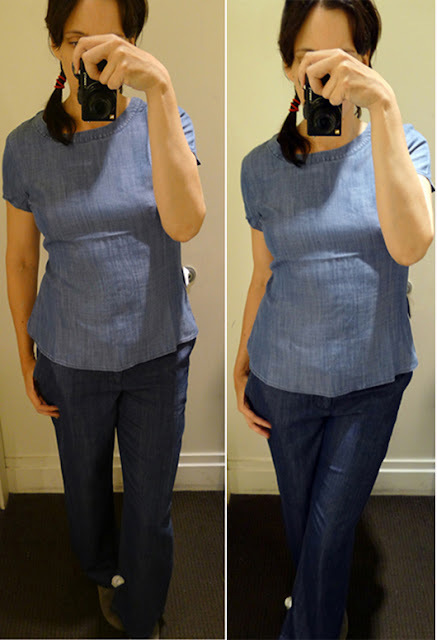 Denim-on-denim perfection (shirt, $69.50, jeans $89.50). This top is so comfortable you're going to want to sleep in it. 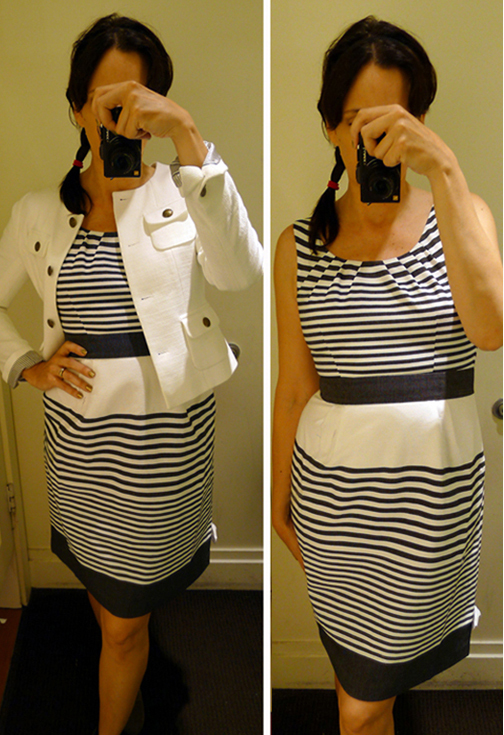 OK, 3/4 sleeves will be too steamy soon, but is the navy/white not sailor-ific? The mint green is an all-around winner. Work-to-date: check. 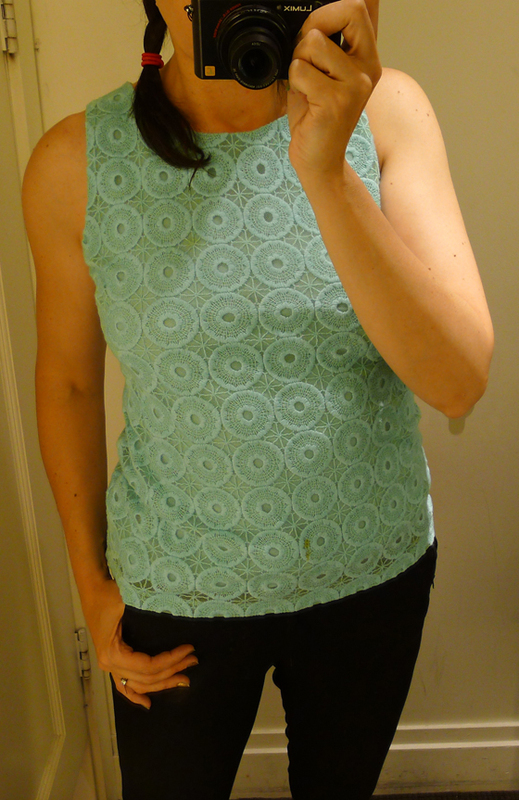 Also from the sale rack: one of those perfect Banana Republic tops that are wardrobe staples for those of us who work in offices, but can also go casual with jeans for a weekend trip.